To maximise coverage and the number of services available within the counties, we propose to launch the Gloucestershire and Herefordshire & Worcestershire multiplexes with identical service providers. In addition, we will carry further radio services, and will announce details of these nearer launch. The multiplexes will launch with transmitters at Ridge Hill and Malvern within Hereford & Worcester, and Churchdown Hill within Gloucestershire. 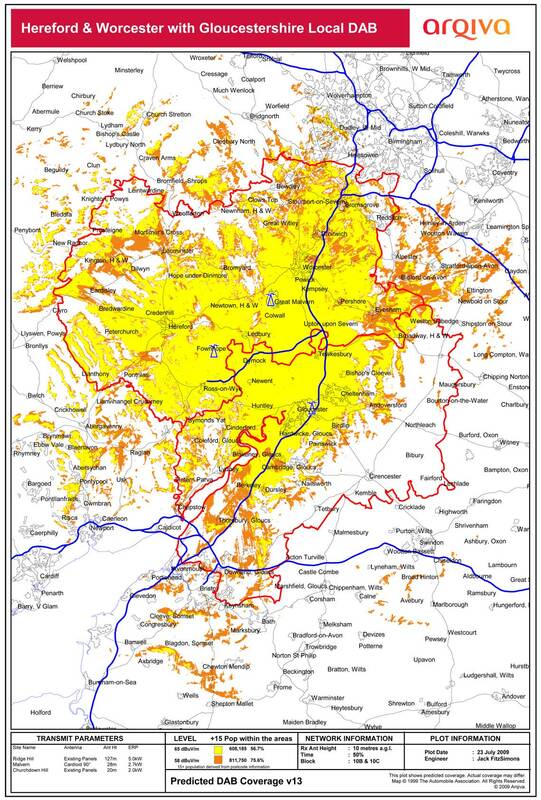 Other transmitters, including at Stroud, Cirencester and Icomb Hill, will be introduced to expand coverage during the licence period.